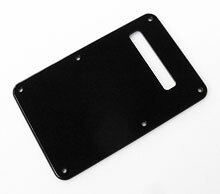 This black 1 ply 0.120" thick Acrylic pickguard with the rounded and polished edge is the same style of pickguard found on Gilmour's Black Strat® with one exception; this pickguard will not have the small slot for the recessed mini-toggle switch to protrude through, this feature has been removed from the design based on numerous customer requests. We offer three options for shielding; 1) No shielding, 2) copper foil shielding in the control region only (click for illustration of this style of shielding) or 3) full coverage aluminum shield. The full coverage aluminum shield is a '62 style genuine Fender® # 001-9699-049 that is 0.012" thick and mounts underneath the pickguard in-between the controls, it is not adhered to pickguard with adhesive. Click here to see an illustration of the full coverage aluminum shield installed. These pickguards are manufactured on an "As Ordered" basis. There is up to 21 day build time on these pickguards. Black Acrylic 1 ply, 0.120" thickness. We now have the matching counterpart back plate to go along with these pickguards that is also Black 1 Ply 0.120" Acrylic with a Rounded and Polished Edge. Shown above in the Standard 11 Hole mounting pattern, also available in '57 Vintage 8 Hole mounting pattern, mounting hole pattern selected below in drop-down option selections. 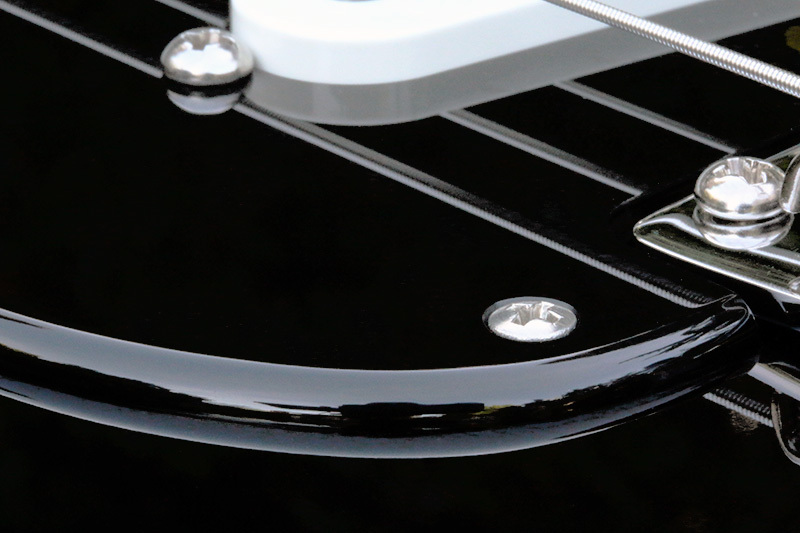 The rounded and polished pickguard edge as depicted on a completed guitar. 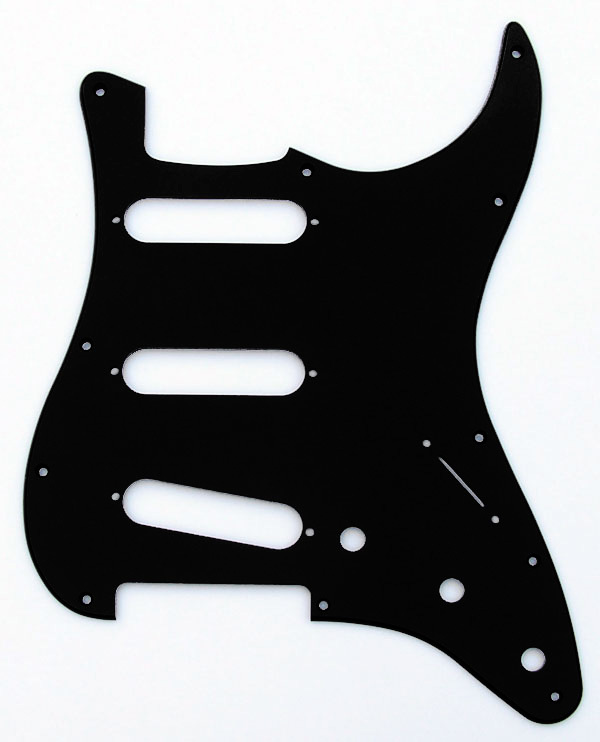 Complete guitar shown for illustration purposes only, this purchase item is for the black Acrylic pickguard only.